Storage space has always been at a premium here at the PRC. As our Donation-In-Kind program grows due to the success of our Amazon Wish List, we have been bursting at the seams! However, having a variety of new and creative items on-site allows our carestaff to change toys and other enrichment items frequently to keep our primates mentally stimulated and emotionally healthy. 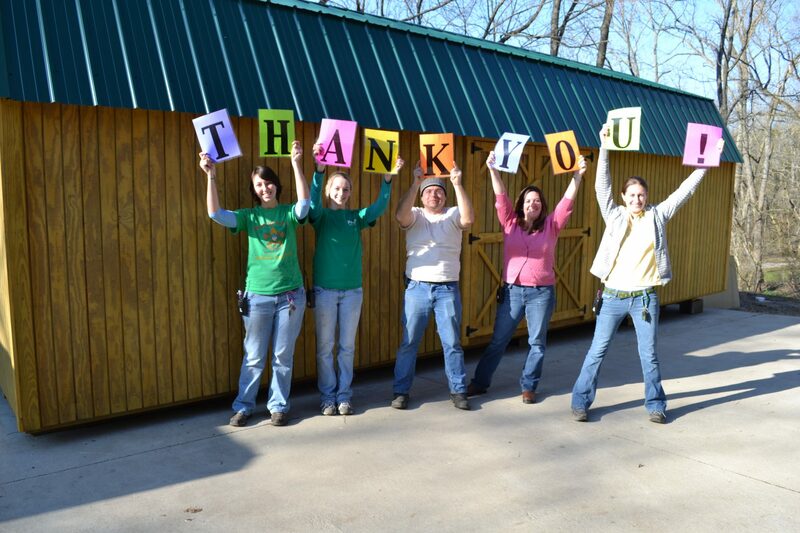 The Honorable Order of Kentucky Colonels awarded the PRC a grant for the purchase of a 12’x30’ storage shed. The Dura-Built Company delivered the very large shed on a beautiful sunny day at the end of February with a specialized motorized dolly. 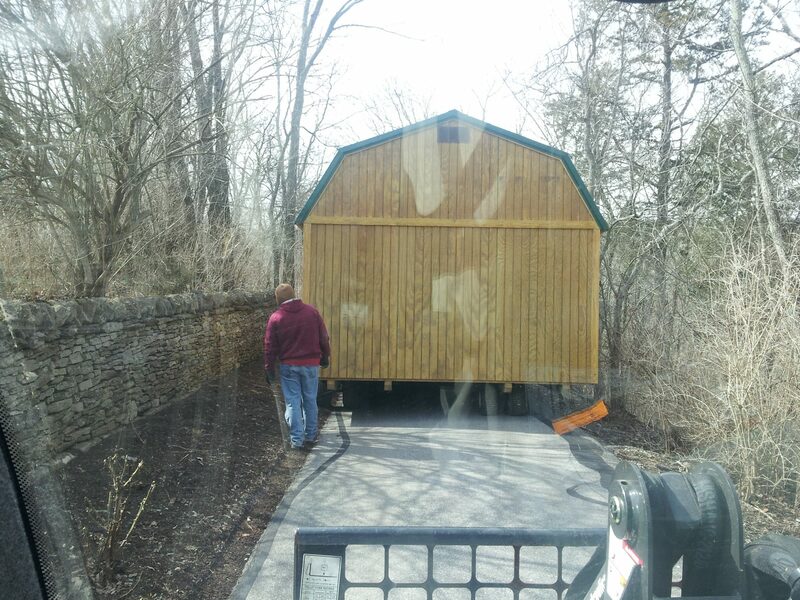 It took almost two hours to slowly and carefully drive the shed down our very narrow driveway into the valley–with a very steep drop off to the right, there was little room for error! However, with some patience and great teamwork, the shed made it down in one piece! 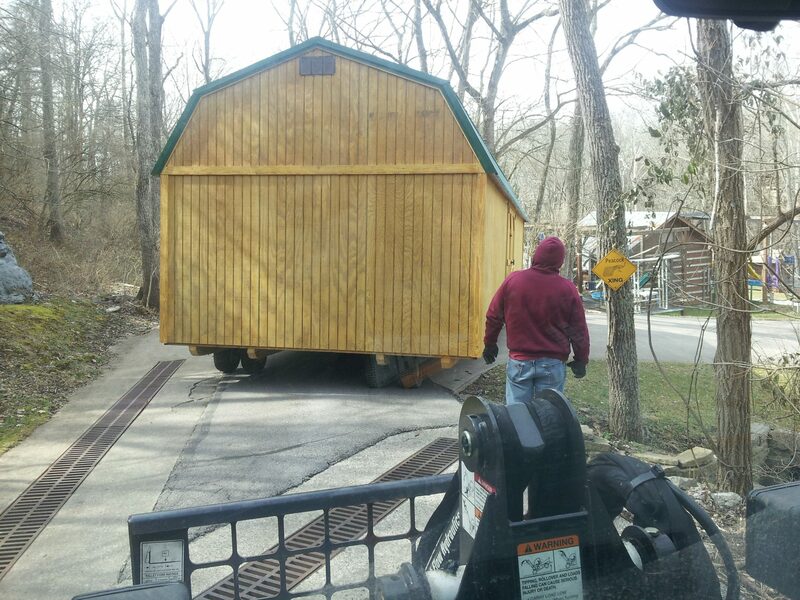 This shed will certainly provide the additional storage space needed to store all the great donations we receive, as well as many other items needed for the daily care of our residents. Many thanks to Colonel Glen Bastin, General Kevin Doyle and the Honorable Order of Kentucky Colonels for this generous grant!